In this article 'tips on writing a resume that wins contract work', you'll get more information and details help with your career knowledge, feel free to copy or share. How important is a well-written perfect resume to a "free agent" or independent contractor? When Dennis Berk, a database developer and technical project consultant in Red Wing, Minn., revamped his resume, he was recommended for three projects that he wouldn't have been considered for if he had used his old resume. For Mr. Berk, what made the difference was detailing the technical platforms used in each of his projects. Previous versions of his resume assumed that a reader would know that, for instance, he'd created specialized databases using both MS Access and SQL Server. When Mr. Berk sent his new resume to a technical contracting agency he'd worked with, the agency's recruiters immediately identified skills that its clients sought -- skills they didn't know he had. The new projects for which he was recommended included a five-month assignment with a major airline. Independent contractors often face unusual challenges when writing their resumes. Among the most demanding is updating their documents as assignments are completed and new skills are learned. If you keep in mind that hiring managers want to see specific skills, demonstrated results and professional commitment, your resume will open doors. Following these tips will help you produce a document that will give you the opportunity to demonstrate capabilities beyond those listed on your resume in an interview and ultimately in a project assignment. As Mr. Berk's case shows, you shouldn't assume that busy hiring managers will be able to extrapolate information from your resume. 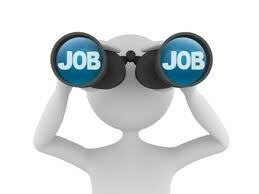 Spell out the details of your experience, technical competencies and projects. Even though Mr. Berk had worked with the agency off and on for more than two years, his previous stints there had been for Y2K projects, and his prior resume hadn't detailed the breadth of his expertise. How did you benefit the company? Did you meet or exceed expectations? Did you bring a project in on schedule and on budget -- or better, ahead of schedule and at a cost savings? Dawn Gallagher, president of The Innovation Café, a New Jersey-based food-service marketing consulting firm, customizes her self-marketing materials for each potential client and often includes a portfolio of projects she's done for others. "It's not always possible to show results, but whenever possible, we say exactly what we've done for that client," says Ms. Gallagher. "We also might use client endorsements or referrals to demonstrate results. We offer to let our prospective clients talk with our existing clients, who will 'sell them' on what we can do, based on the results we've already delivered." For technical professionals, it's particularly important to address more than just the technical aspects of the job. Demonstrate your understanding of business priorities and the importance of the bottom line by identifying your contributions to a company's profitability. Mr. Berk includes with his resume a list of "Benefits" he delivered on each of his contract assignments and employment projects. These benefits included time savings, cost reductions, rapid productivity, improved access to information and efficient management of projects under tight time and budget constraints. While it's true that companies often need independent contractors with specific expertise for short-term assignments or one-time projects, at other times they may be seeking longer-term commitments or contractors who may transition to permanent employees. Many employers want to know that the contractor is more than just a "warm body" with specific skills. "When I look for contract employees, I like to see more than that they've 'done their thing' and left," said Lynne Rentschler, vice president of human resources and administration for a logistics company in Cincinnati. "I get concerned when there are too many small assignments on the resume...I prefer to see more tenure. I like to see that they've been able to form relationships and help achieve business goals." To show prospects the professional relationships that she's built, Ms. Gallagher writes short summaries of her work with clients in a short-story format. "I like to present information that shows I can fit into a company's culture," she says. A number of short-term assignments can be a red flag to hiring managers. They wonder why you left each position ... were you fired? Was your performance sub-par? Couldn't you get along with others? This can be a problem for free agents, whose strongest and most recent experience may consist of a string of short-term projects. To overcome the job-hopper image and allay these concerns, state clearly that specific positions were project- or contract-based. You even can specify the length of the contract by using a phrase such as, "Selected for six-month, high-priority project to bring customer-relationship-management software up to speed in advance of massive Web-site marketing campaign." Readers will know that you were brought on for a specific assignment and completed that assignment before moving on. If your work was so valued that the company extended your contract or chose you for other jobs, be sure to spell that out, too. Another strategy to show that you're a free agent by choice, and not because you can't keep a job, is to start with a summarizing paragraph or heading that identifies you as a contract employee for a specific period of time. Then group your contract and project experience under the heading, and downplay the specific dates of each assignment. If you're a busy free-lancer with many projects under your belt, you might find that a traditional resume isn't flexible enough to showcase all of your experience and skills. One way to expand on your resume without deviating from a standard format is to supplement it with detailed project summaries or examples of your work. 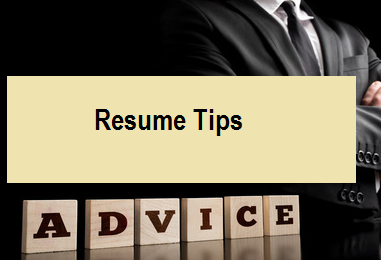 You can use these selectively -- sometimes sending them to accompany a resume, at other times to bring to an interview. Mr. Berk supplements his resume with a detailed project list that he takes to interviews and client meetings. His resume summarizes his projects, but often he'll refer to his addendum to make an analogy to a specific client situation. While it's an essential tool, a resume alone can't possibly convey all the experience, skills and knowledge you'd bring to any assignment. Additionally, despite the many Internet job sites and contract-placement agencies they can register with, most professionals can't expect to post a resume online and see job offers pouring in. Even in the New Economy, old-fashioned relationship-building and networking are key to most successful job searches. Mr. Berk plans to post his new resume on various job boards and free-agent sites, particularly those geared toward technical professionals, and he's excited about the possibilities. Still, he's maintaining relationships with the companies and agencies that have chosen him for diverse assignments over the years. After all, they know him and can recommend him based on more than just his credentials on paper.